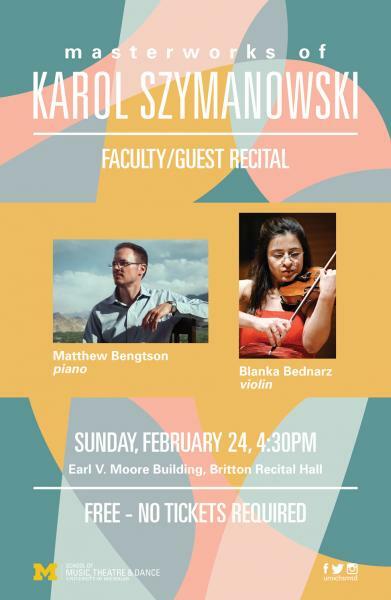 Violinist Blanka Bednarz and pianist Matthew Bengtson present a recital including works for violin/piano duo and solo piano by Karol Szymanowski. The two musicians have recently released an award-winning recording of this repertoire on the Music Omnia label. Szymanowski’s music spans a kaleidoscopic range of styles from late-Romantic chromaticism, to shimmering Impressionism, to a proud and energetic nationalist idiom.